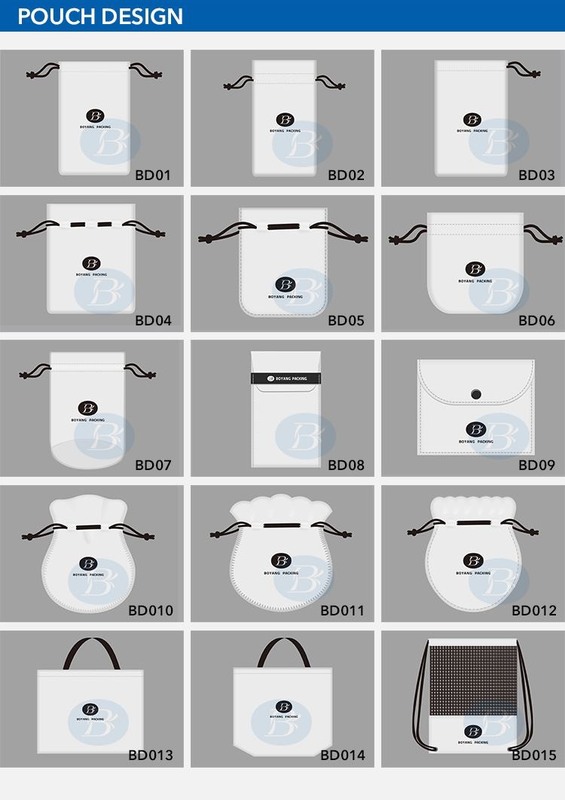 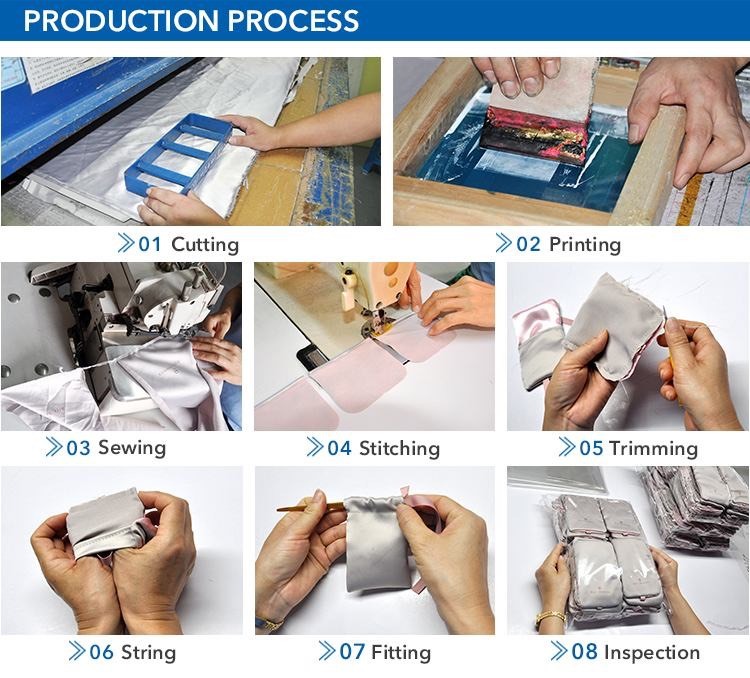 The bags are hand-made by velvet.So it's soft.There are a variety of colors can be chosen, of course, you can also provide your design and requirement. 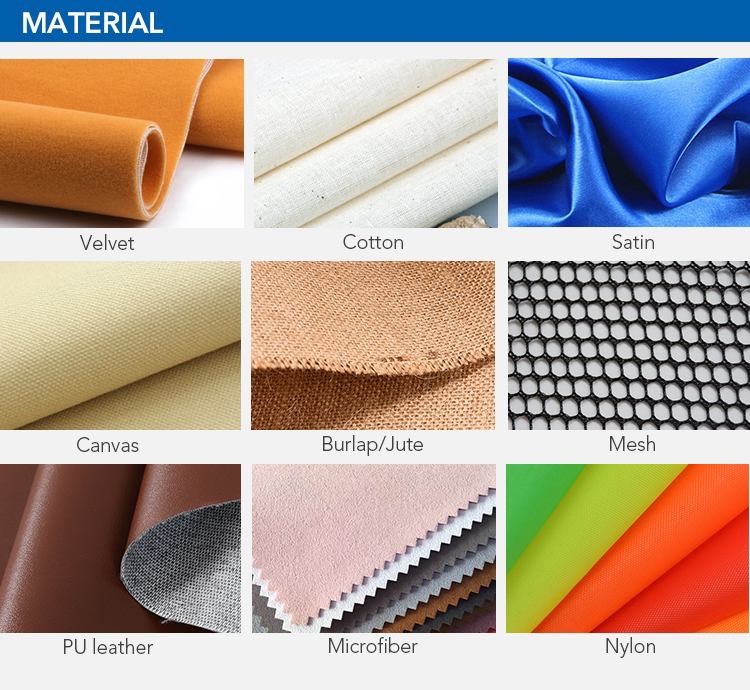 These materials can be used by the velvet jewelry bags. 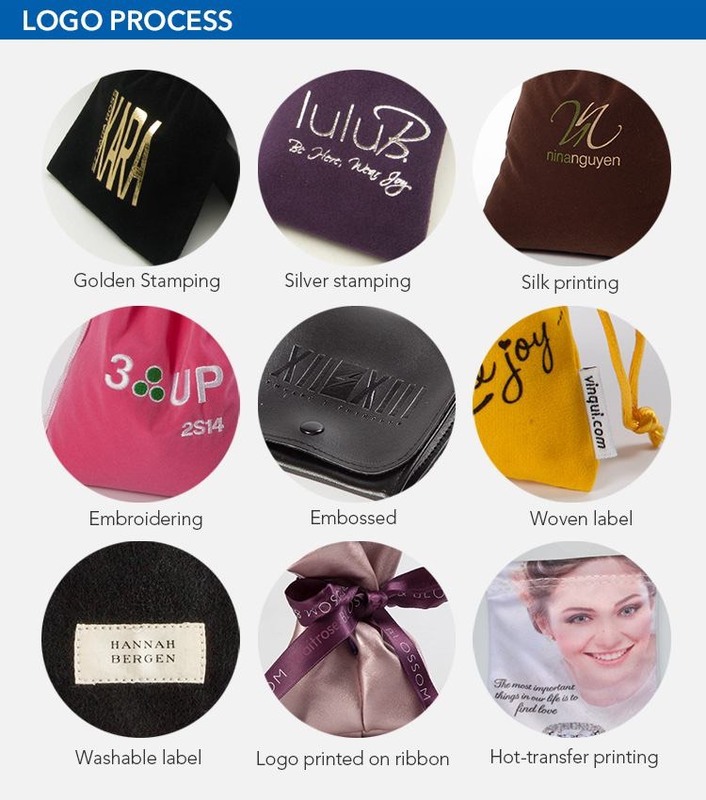 The picture below is the embedded form of the LOGO on the velvet jewelry bags. 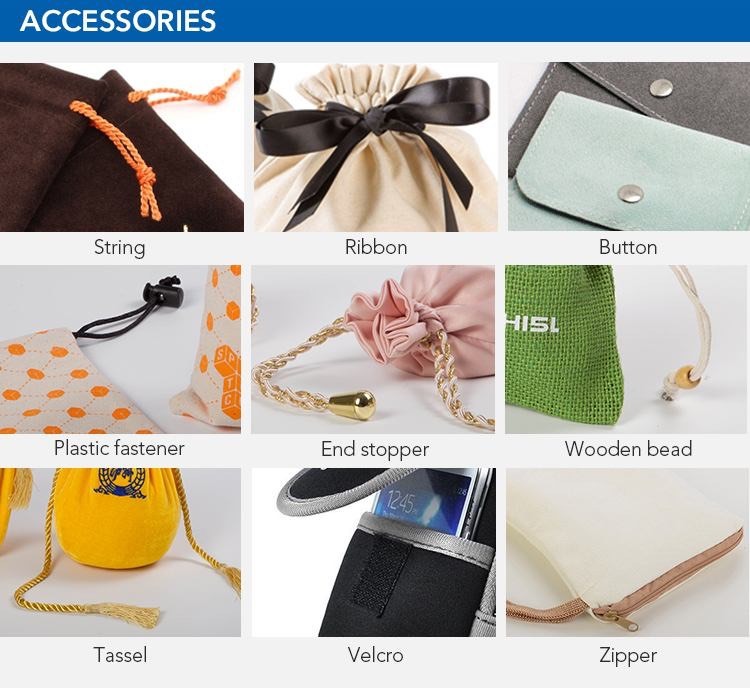 You can choose one accessory or multiple accessories for the velvet jewelry bags.